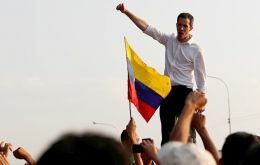 Venezuela's opposition leader Juan Guaidó has called on his supporters to take to the streets in protest at nationwide power cuts. 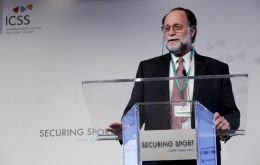 He also told followers to prepare for a final push to try to overthrow President Nicolás Maduro. 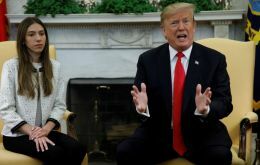 U.S. President Donald Trump on Wednesday called on Russia to pull its troops from Venezuela and said that “all options” were open to make that happen. 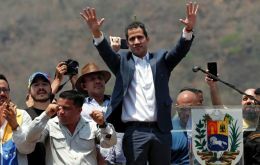 The arrival of two Russian air force planes outside Caracas on Saturday believed to be carrying nearly 100 Russian special forces and cyber-security personnel has escalated the political crisis in Venezuela. Venezuela's government told workers and school children to stay home on Tuesday as the second major blackout this month left the streets of Caracas mostly empty and residents wondering how long power would be out amid a deepening economic crisis. 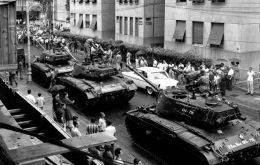 Brazil's federal prosecutor's office on Tuesday said it was opposed to far-right President Jair Bolsonaro's plan to allow the armed forces to officially commemorate the 55th anniversary of Brazil's military coup this weekend. 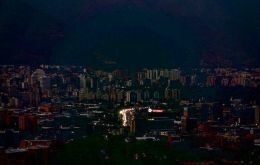 Venezuela blamed an attack on its electric system for a blackout on Monday, the second to hit the OPEC nation this month, that shuttered businesses, plunged the main airport into darkness and left commuters stranded in the capital. 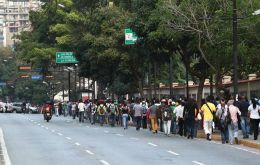 Power went out in much of Caracas and nearly a dozen states in the early afternoon, stirring memories of a week-long outage earlier in the month that was the most severe in the country's history. 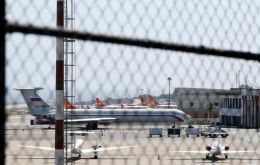 Two Russian military planes landed in Venezuela's main airport on Saturday, reportedly carrying dozens of troops and large amounts of equipment. The planes were sent to “fulfill technical military contracts”, Russia's Sputnik news agency reported. 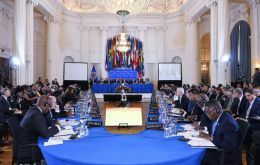 The United States on Thursday threatened to pull out of the annual meeting of the Inter-American Development Bank in China next week if Beijing refuses to allow a representative of Venezuelan opposition leader Juan Guaido to attend. 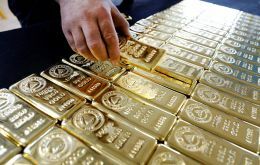 Citigroup Inc plans to sell several tons of gold placed as collateral by Venezuela’s central bank on a US$ 1.6 billion loan after the deadline for repurchasing them expired this month, sources said Reuters, a setback for President Nicolas Maduro’s efforts to hold onto the country’s fast-shrinking reserves.